These "cookies" have no added sugar or flour and are very low fat. They are simple to make and are a great healthy treat or a good "on the go" breakfast. 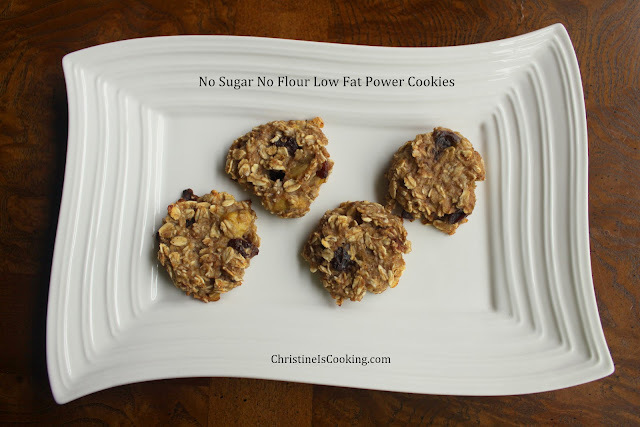 These power cookies are reminiscent of an oatmeal cookie, but have a texture that is more moist and chewy. If your looking for something that tastes just like a high calorie cookie; this isn't it. 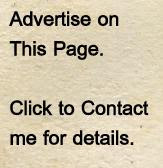 However, if your looking for a decent healthy alternative - give it a try. One of my kids loves these....the other one not so much. I like them very much. Its fun to eat cookies for breakfast! This recipe makes 24 cookies and each cookie has approx. 43 calories each. 1/3 cup of all-natural applesauce (this is approx. the size of one small individual container). A small amount of raisins (to taste). I used 2 mini boxes of raisins. (2) In a large bowl, mash the bananas very well. Add in the oats, applesauce, cinnamon, raisins and salt. Mix and let sit for 15 minutes to moisten the oats. (3) Drop rounded teaspoons of the cookie dough onto an ungreased cookie sheet. (4) Flatten with the back of a large spoon. (5) Bake for 20 minutes. These are best served after they are completely cooled; even refrigerated.